Trent Alexander-Arnold made Premier League history on Wednesday - and the right-back has detailed how Liverpool’s game plan enabled him to do so. An impressive display headlined by first-class delivery from his flank saw Alexander-Arnold become the youngest player to register three assists in a top-flight game since 1992 as the Reds routed Watford 5-0 at Anfield. The 20-year-old set up Sadio Mane twice from open play in the first half, before providing a whipped free-kick that Virgil van Dijk thumped home with his head late on. 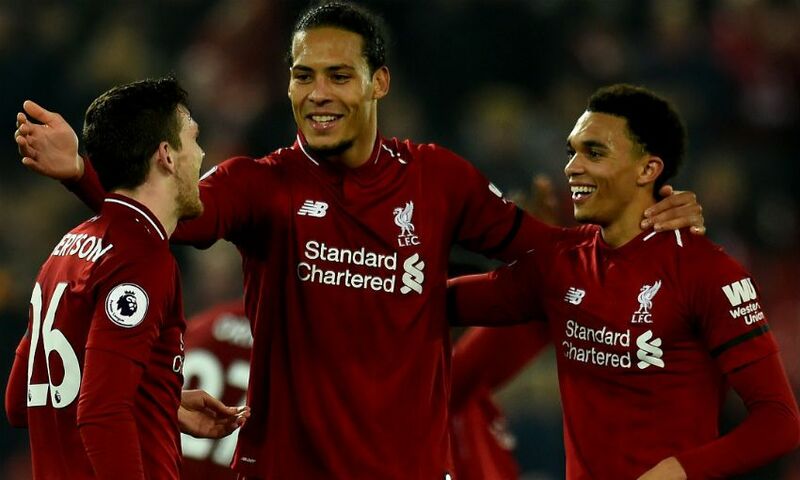 Andy Robertson assisted Divock Origi’s goal and Van Dijk’s second of the evening, and Alexander-Arnold explained that the full-backs’ advanced positioning throughout the game was by design. “Obviously it’s every full-back’s dream to provide assists and to get three in a game is probably not something I’ll get the privilege of saying too often,” the England international told Liverpoolfc.com. “But I’m happy to be able to provide the team with chances to score and credit to the lads for taking them, especially Virg with his two goals, who’s shown that he’s a real aerial threat. “It was one of them where maybe their wingers weren’t probably that enthusiastic in tracking us and if the lads got the ball out wide to me and Robbo, that maybe we could provide crosses in and that’s the way it worked. “I think especially first half we had a lot of freedom down the sides and we tried to provide as many balls into the box as we could for the lads. Wednesday marked a return to winning ways for Jürgen Klopp’s team following back-to-back goalless draws versus Bayern Munich and Manchester United, and Alexander-Arnold believes the quality of their performance evidenced their determination to end the season in glorious fashion. “Obviously everyone who saw the game against Man United [knew] it wasn’t the best and we were probably disappointed with the way we performed and the result that we got, so it was important to come out here today and show the fans that we’re in it for the long run,” he stated. “We want to give a good account of ourselves in the last games of the season, have a good run-in and give ourselves the best chance of hopefully bringing silverware back to Anfield. We went out there today and we really enjoyed it - it was good football, we all had fun, that was the main thing I think. With 10 Premier League games remaining, Liverpool sit a point clear of Manchester City at the top of the table - a position Alexander-Arnold is relishing. The Academy graduate continued: “I think the main thing for us going into the game was to enjoy it and I think it’s not very often where players are in this position that they’re fighting for a league title, so a lot of the lads it’s our first time of doing it so we all just want to enjoy. “We want to embrace it as much as we can, go with the flow and hopefully pick up results when we can and that’s what we tried to do today: just enjoy it, go out there and play fluid. “That was the main thing for us, to get back into a rhythm and that’s what we did. It looked really good and it felt really good to be out there. “We know that it is one game at a time, but right now we are top of the league. It’s something to be proud of - not many players can say that they are at this point of the season.